As I begin my move across the country, I find myself dodging all kinds of Craigslist scams, particularly in the apartments and housing classifieds. Fortunately, I've discovered a little trick that will tip me off to a scam before I lose $1,000 in a fake security deposit. Last week, I encountered a Craigslist posting for this unusually beautiful home in "Nashville." At $900 a month, I thought it was too good to be true. I was right. My initial suspicion began when the owner claimed to be away "doing missionary work in Africa." What confirmed my suspicion was running a reverse image search in Google. 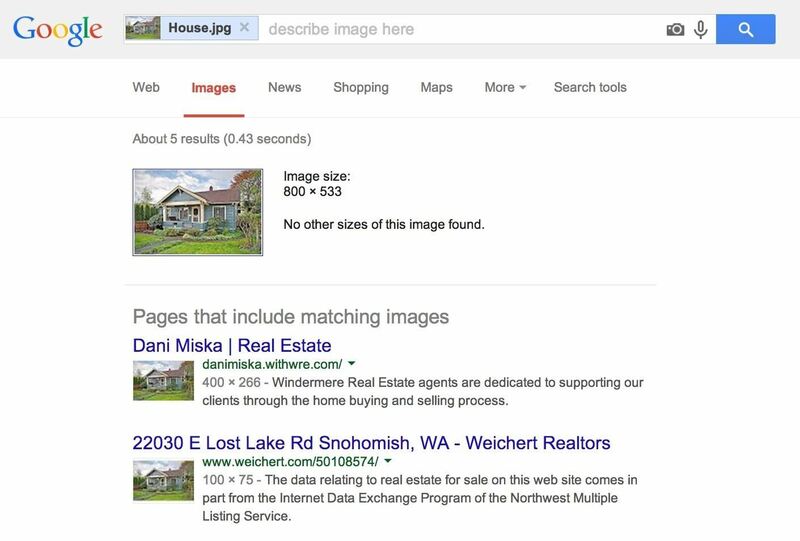 In this type of search you don't begin with a group of keywords, you begin with a picture. My results showed a home located 2,707 miles from Nashville in Snohomish, Washington. 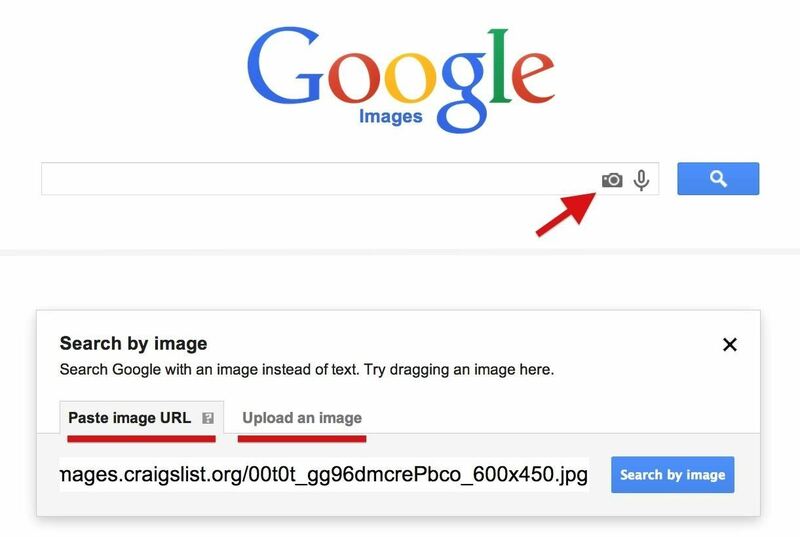 By clicking the small camera icon to the right of the search box in Google Images (just go to Google Search and click on Images up top to get there), Google gives you the option to upload the picture from your desktop or paste in a URL. 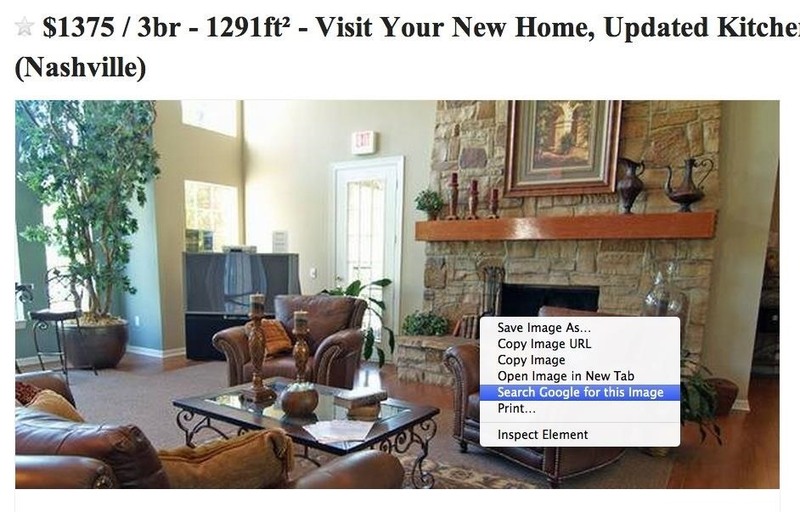 If you're using Google Chrome, you can simply right-click on (almost) any image and select "Search Google for this image." Your results will appear in a separate tab or window (depending on your setup). If you're using an older build of Chrome, you may have to grab the extension. You can get the same thing in your right-click contextual menu in Firefox by installing the official Search by Image add-on. If you're on Internet Explorer, Opera, or Safari, you will need to visit the Google Image Search page and follow the steps above. Or, you can try out a similar reverse image search engine called TinEye. It doesn't work as well as Google's, but if you're not using Chrome or Firefox and want a shortcut option, it'll do the trick. Once you detect a scam and get back at your scammer, you may continue searching for that beautiful product or home without worry. And this reverse image search also works well for other things, like hunting down (and eradicating) embarrassing photos of you online. 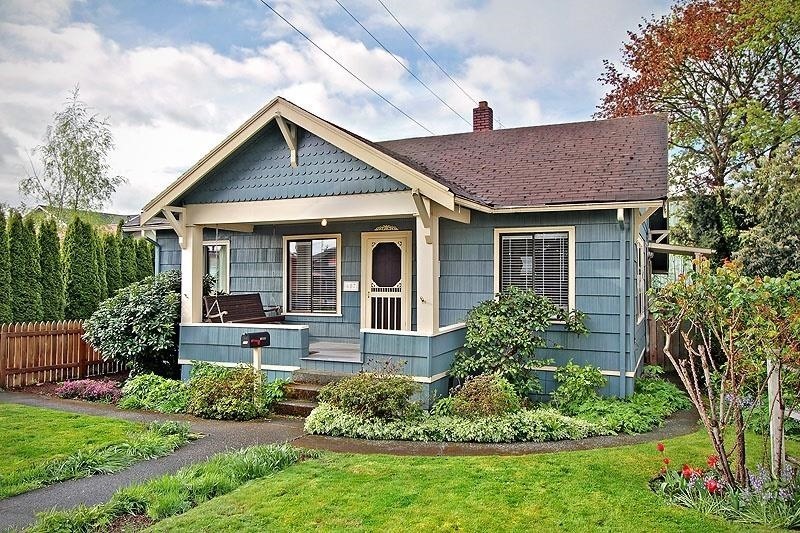 Ha, when I first saw that blue house I thought "Hmm, that house looks like it belongs in Seattle!". And it actually is in the Seattle area. Boo scammers!